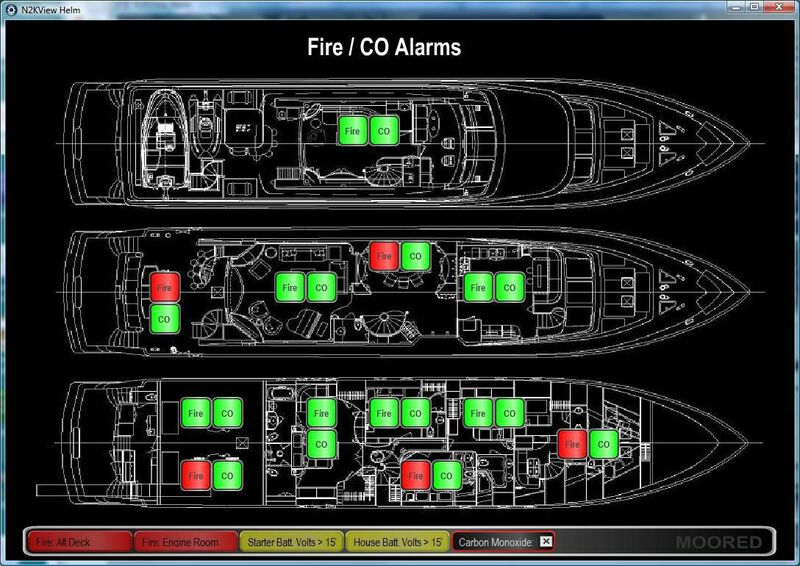 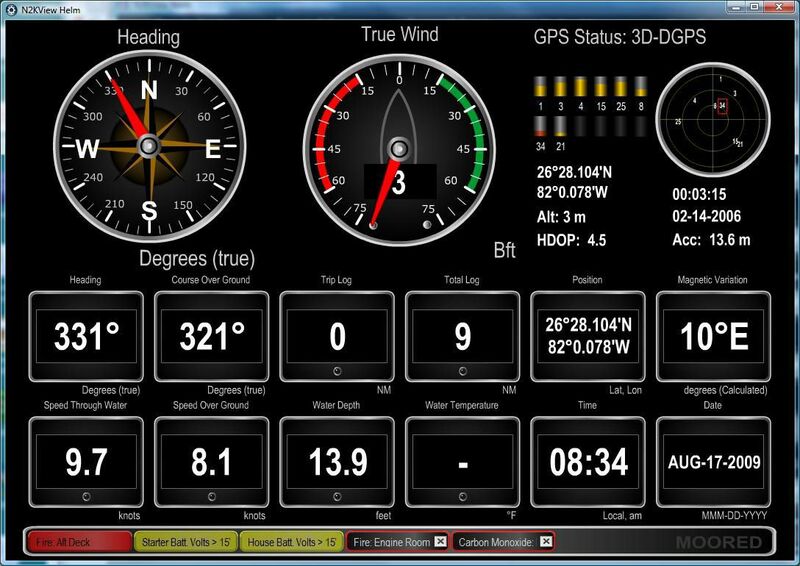 Whether you are interested in monitoring your vessel’s systems while underway or remotely from your home or office, Maretron’s N2KView® software displays the information you need including engines, generators, tanks, rudders, navigation instruments, local weather, and much, much more. 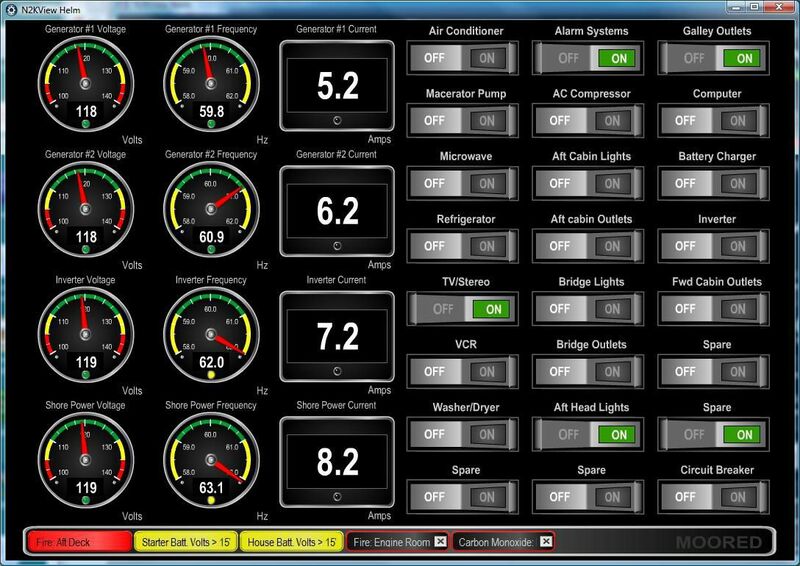 N2KView® is completely user-configurable and you are free to create different screens for your exact needs while easily switching from screen to screen for monitoring all your systems. 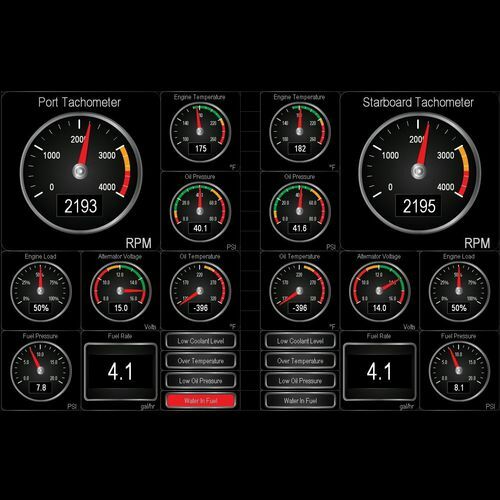 Digital displays, analog gauges, graphic displays, warning lights, and bar graphs, all can be configured exactly how you want them to be. 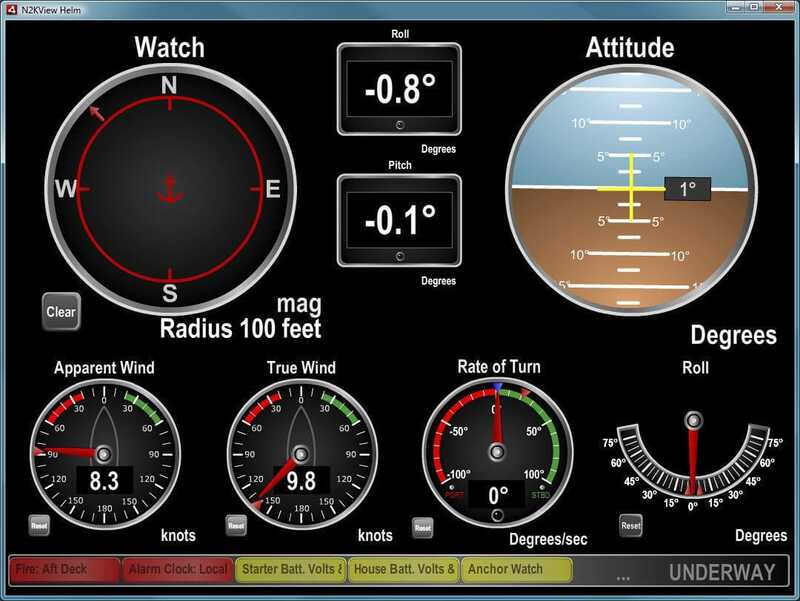 You can even set the operating limits and color bands for analog gauges so you know when things are within limits and when they are not.